Magnetic separators have many features compact structure, no cooling system, no power excitation system, rectifying the belt automatically, simple structure, large capacity, easy to operate, easy to maintain, etc Magnetic separator is used for sorting magnetic minerals or removing non-magnetic minerals mixed in the magnetic minerals. 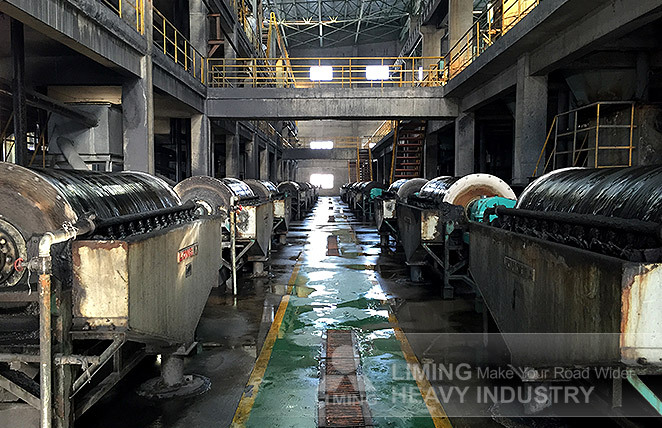 Company Profile：Henan LIMING Heavy Industry Science and Technology Co. LTD which mainly manufacture large and medium-sized crushing and grinding equipments was founded in 1987. It is a modern joint-stock corporation with research, manufacturing and sales together. The Headquarter is located in HI-TECH Industry Development Zone of Zhengzhou and covers 80000 m ². Another workshop in Shangjie Industry Park covers 67000 m ². Over the past 30 years, our company adheres to modern scientific management system, precision manufacturing, pioneering and innovation. Now LIMING has become the leader in domestic and oversea machinery manufacturing industry.